Spartan Health and Science University supports a high-quality education for USMLE – 1 preparation. It offers a smooth transition for US based hospitals for Clinical Rotation. Lastly, Residency to do MBBS in USA right up to PG level to become MD / MS is done with high match score. 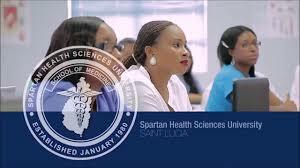 Spartan Health Sciences University, School of Medicine is an independent medical institution established on January 7, 1980. The Government of St Lucia has chartered and licensed the University. It is also accredited by the Monitoring Committee appointed by the Government of St. Lucia to oversee Spartan’s standards are comparable to those set by the Liaison Committee on Medical Education as required by the Department of Education in the United States. All throughout Caribbean islands, there are more than 16 different universities. The list includes American University of Antigua (AUA) managed by the most famous Indian medical University Manipal University. All these universities prepare you to be a Medical professional to USA. However, you have to be very careful in the selection of the universities. USMLE is extremely strict on the rules on credit hours earned at various stages of the program. Spartan Health and Science University gives full 142 credit hours during the pre medical course ensuring smooth intake during residency as per USMLE compliance. Many smaller universities would put you in trouble over such important issues. There are few very low-quality universities in Granada (Only 2% success ratio for Residency) and Belize Islands (World’s highest crime recorded here, check Google before finalizing these dangerous locations!) which you must avoid going. Of course, there are far superior universities as well such as Ross Medical University / AUCMED at St Marteen or even AUA at Antigua Islands (Owned and managed by Manipal University of India). However, these top ranked US programs costs more than Rs. 1.50 crore only towards the tuition fees! 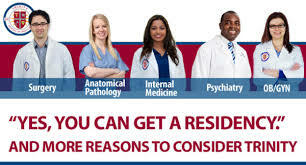 The student to faculty ratio is maintained at 20:1 at Spartan health and Science university, St Lucia as per USMLE specification to ensure high teaching standards and superb reputation among the US hospitals to get maximum calls for residency! Currently, more than 100 Indian happy and hard working students from different parts of India are placed by RUDRAM studying at Spartan Health and Science University with an aim to do MBBS in USA. RUDRAM can connect you with them or connect your parents with their parents for transparent understanding and your clarity on road map to your MBBS in USA program. Spartan HSU is managed by an Indian administration headed by DrAddagaddaChandrasekarRoa, a renowned Senior Surgeon practicing in New York, USA for over 40 years. DrRao has been the Chairperson of some of the Top Super Speciality Hospitals that offer the PG Residency Programs in the US. Spartan offers scholarships for deserving students from India, enabling them access to quality medical education at an affordable cost. Fully Accredited by The St Lucia Medical Schools Accreditation and Monitoring Committee set by the Government of St Lucia.